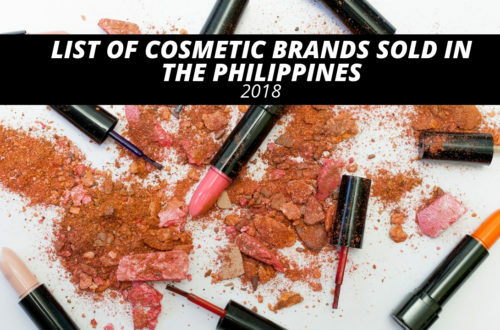 For a little over 1,000 pesos you get sixteen (16) pans of overly pigmented colors weighing 28.8g for the whole palette, broken down into ten (10) mattes and six (6) shimmer eyeshadow. Physically, it holds a hefty weight to it. Covered in rose gold foil design it is quite a struggle to photograph due to its foiled texture. 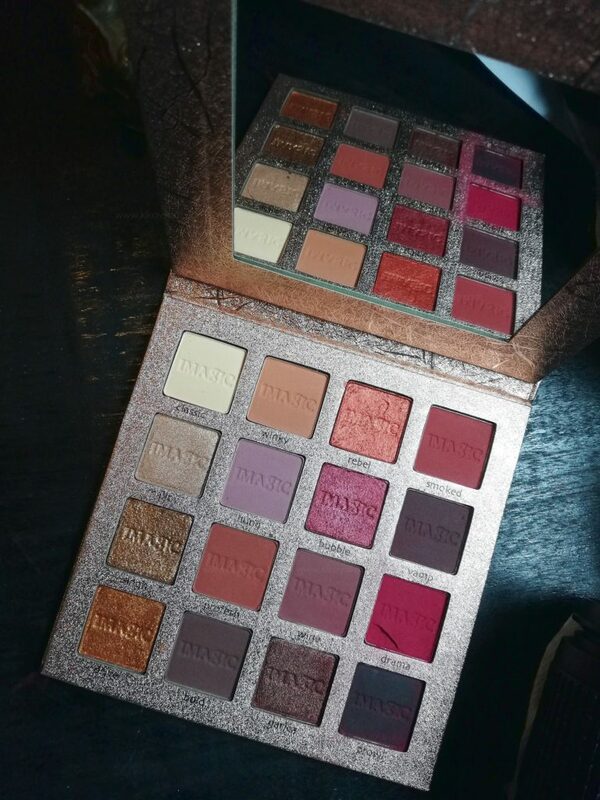 Upon opening like any other usual palette there is a plastic covering protecting the pigments against the mirror and pressure that might be applied over it. It has a decent sized (real) mirror which makes it more convenient when doing your make-up on-the-go. Maintained closed by a magnet mechanism which is quite sturdy and safe when travelling. 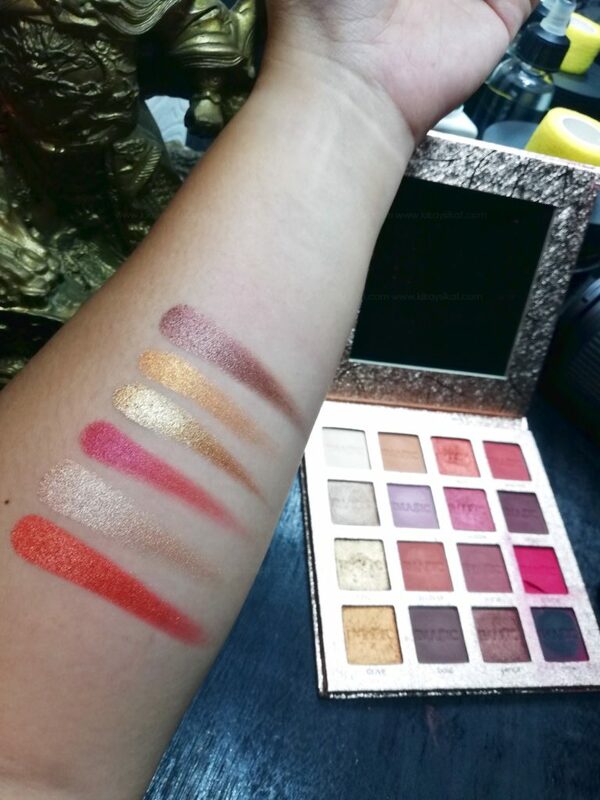 The colors in this palette can be compared to the Rose palette by Wet n Wild and some say the Huda Beauty palette which I could not personally compare due to the pricetag . The colors make it easy to make a look from day to night. 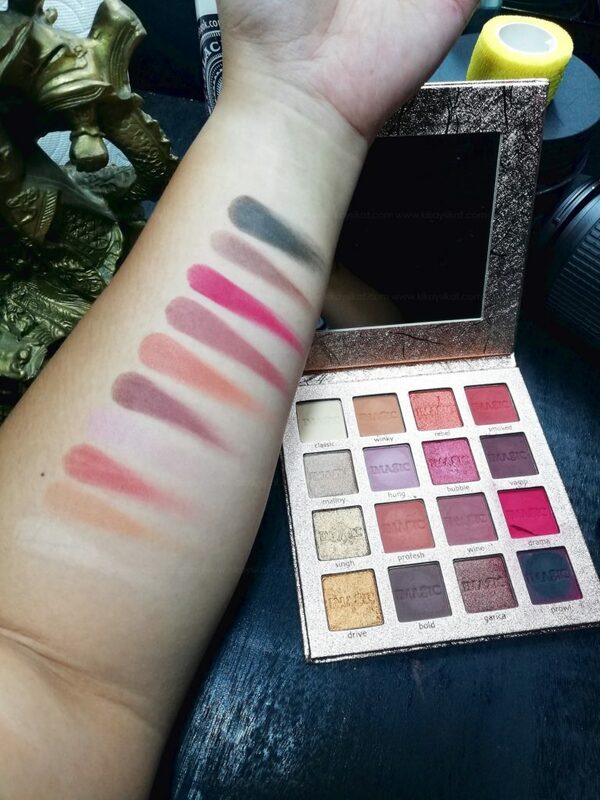 Swatching the pigments shocked me, it is a good mix of a creamy texture before turning into powder but not to the point that it becomes disappointing, but that is for the mattes the shimmers is a whole different story. The shimmers are pigmented as it is buttery when touched, one swipe goodness to say the least. Compared to the finger swatches, using a brush in the application also showed a different performance. 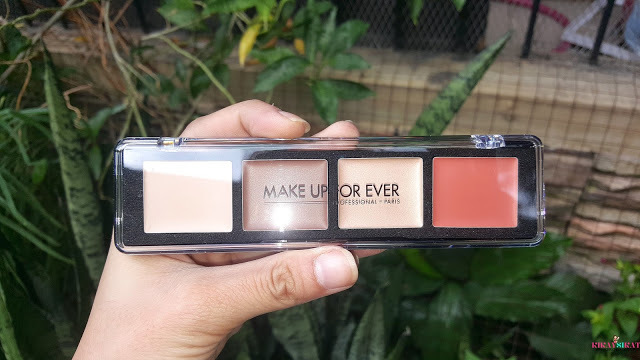 The mattes were a little more powdery than the initial swatch so I suggest to tap off the excess before applying it to the eyelids moreover using a loose powder underneath the eyes in case of major fallouts (I had pretty minimal fallouts) will help. Providing a solid base i.e using a concealer or an eyeshadow base which will also help in the color payoff of the eyeshadow making it more vibrant and it may last longer *wink. Used CLASSIC to set the base, WINKY as the transition, SMOKED to deepen the crease, DRAMA to at the outer V, SINGH as the middle shimmer and BOLD with the combination of PROWL to darken the outer V.
Being an oily combo skin I wasn’t expecting that this eyeshadow would last long on me considering that I perspire a lot but I was surprised. There was minimal creasing and fading especially the shimmer eyeshadow. I suggest using the brush wet (foiled) or just using your fingertips which will make the color pop out a bit more. 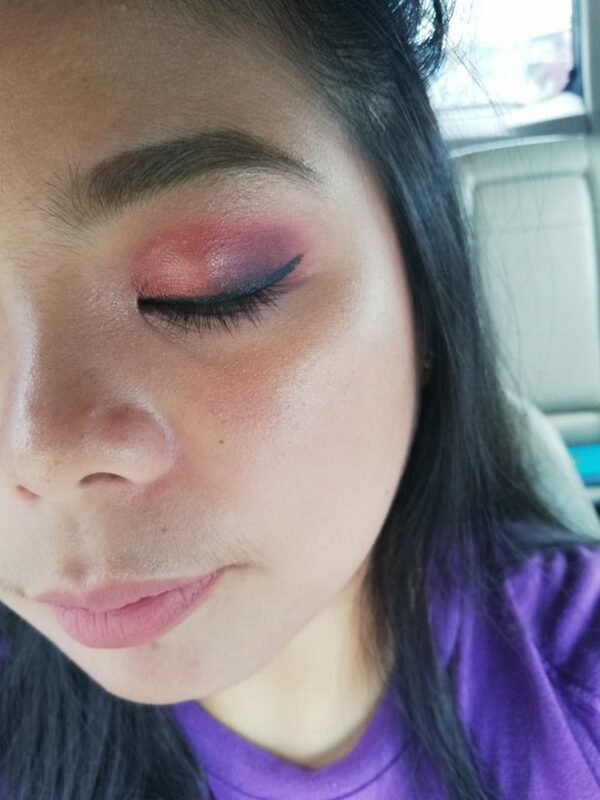 I was surprised on how it lasted on my eyelids for a little over 5 hours since I perspire a lot and considering the level of humidity we have here in the Philippines. 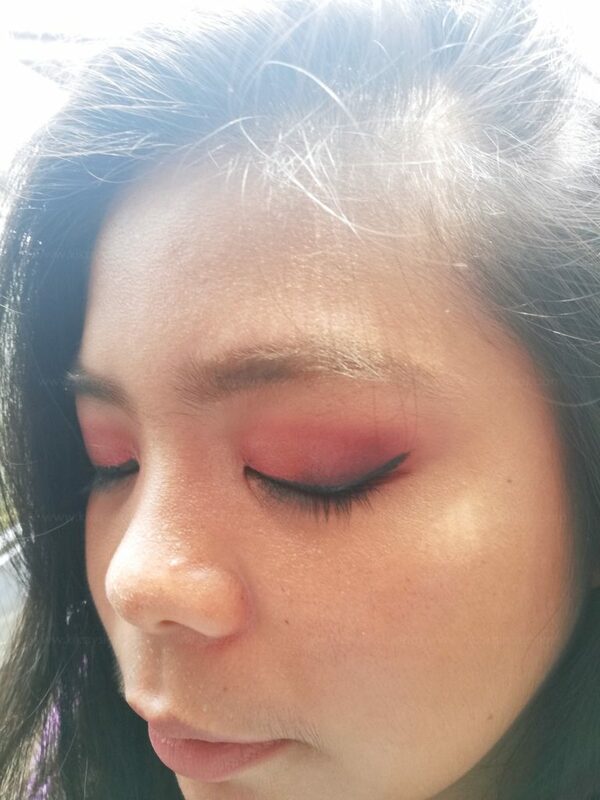 People also asked what palette I used since the vibrancy was very much noticeable and there were shocked that it was only a 300 peso palette that I used. 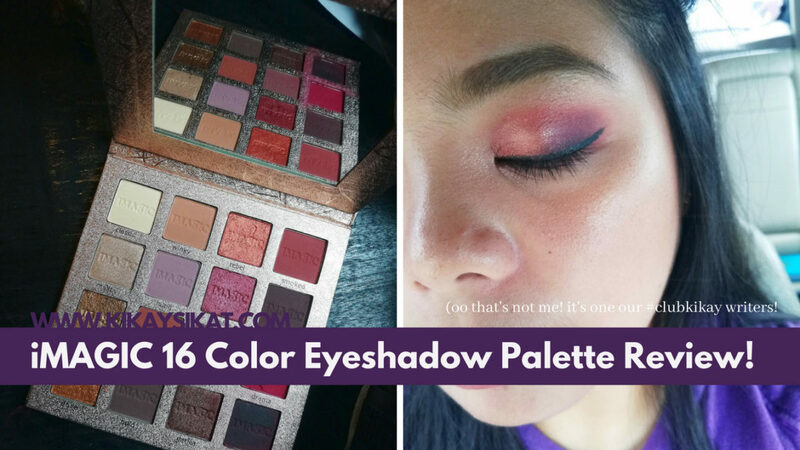 I strongly recommend this palette if you’re on a tight budget and just a beginner like me. You won’t be disappointed. Your imagination is the limit and blending is the key to a good eyelook.